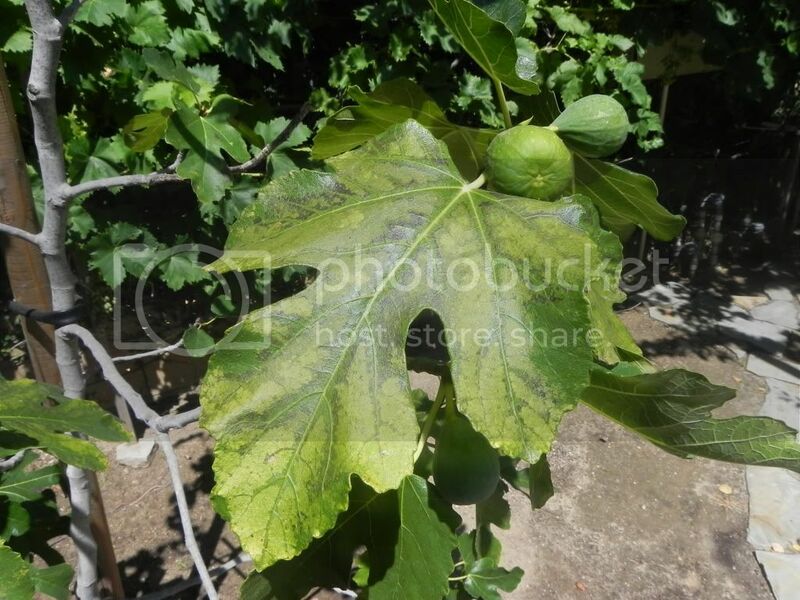 I have a young fig tree (about 8' tall) that is very sparse (not filling out). The bigger problem is with the leaves. They lose their dark green in an irregular pattern, getting paler, then eventually browning out. The pale areas seem to have a dark greyish brown fringe surrounding them. This is obvious only on the top surface initially, and the underside of the leaves is not affected until the leaf browns out and dies off. The fruit does not seem to be affected. 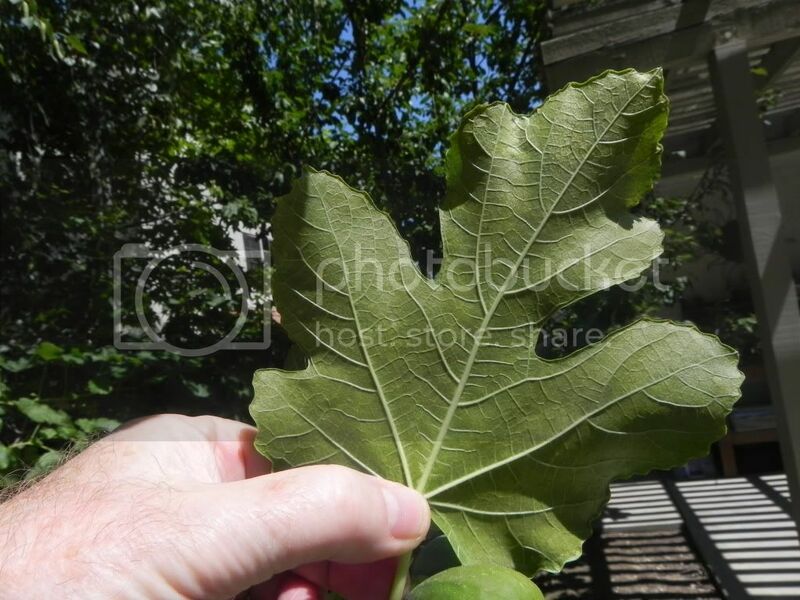 I have enclosed pictures of both sides of the same leaf, with some adjacent fruit. Sorry about the large size, but it may help someone figure out what this is. I think it looks like Fig Mosaic Virus. If that is what is afflicting your plant, then according to this article by UC Davis, there is no control. IMO, however, you should check with the Extension Service office nearest you to confirm that the disease actually is Fig Mosaic Virus. They also will be able to advise you of any new control methods that may have been found. Thanks. I just sent them an email. Will see if they confirm.